Twelve kilometers from Mbarara along the Mbarara-Masaka Highway, in Biharwe, lies a cultural center that I have come to love: Igongo Cultural Centre! Igongo Cultural Centre includes a restaurant, Kaahwa Kanuzire, a craft- and bookstore, Nkwanzi, and the reason I love it so much, the Eriijukiro Museum of South Western Uganda. I first heard of Igongo Cultural Centre in December 2011, when I arrived in Kiruhura for my annual end-of-year visit to my maternal family home (see Uganda, East Africa: Lake Mburo National Park for more details). People were ablaze with talk of the new cultural center that would officially be opened at the end of the year by none other than his Excellency. Those who had been there before told me of its beautiful grounds, good food and the model traditional houses that could be found there. Curious about it, I decided I would check out Igongo Cultural Centre as soon as the holidays were over. 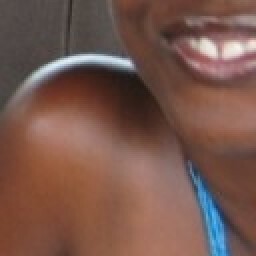 That’s how I found myself, early in January 2012, at Igongo Cultural Centre for the first time. As soon as I got on the premises, I was immediately impressed with how big and well-organized the place looked. I don’t know what I was expecting, but it wasn’t anything close to what I saw. Igongo Cultural Centre had huge, beautiful, manicured gardens and a set of signs clearly listing what could be found on the grounds. I passed Kaahwa Kanuzire, the restaurant, without much more than a cursory glance. I knew I would be having lunch there later and decided instead to make my way to the Nkwanzi shop before getting to what had really brought me to Igongo Cultural Centre: the Eriijukiro Museum. Nkwanzi stocks books and crafts related to the culture and history of the region’s people. Although the crafts were both interesting and pretty, it’s the books that really captured my heart. There I found–and I find each time I visit Igongo Cultural Centre–interesting books about aspects of local culture such as language, cows, herbal medicine and folklore to name but a few. I would find these books interesting if they were about any culture in the world, but they are so much more so because they are about a culture that is mine which I unfortunately don’t know well because I didn’t grow up in it. After browsing through the books and quickly looking at the crafts in the shop, I made my way to the museum. Whenever I am somewhere new, I look out for museums because they are a quick and usually inexpensive way to learn about a place, its people, its history and culture. For this reason, I was looking forward to visiting the Eriijukiro Museum, but I was looking so much more forward than usual because this museum was about my culture as presented by my people rather than from the foreign perspective that is so common when talking about African cultures. Parting with a few thousand Ugandan shillings, the entry charge for East African nationals, I was all set to begin my museum tour. I have visited the Eriijukiro Museum a couple of times now, and I am always pleased by the welcome I receive. As I pay to enter the museum, almost invariably, a well-dressed and professional guide in uniform meets me and my group at the front of the museum to welcome us inside and take us around. This is not what I am accustomed to at other museums across East Africa. Perhaps this has something to do with the fact that this is the first privately owned East African museum I have ever been to. In the same vein, I must say that I am impressed with how organized and well-documented the Eriijukiro Museum is. The displays are organized thematically around themes such as housing, fashion, games & leisure, education, folklore, religion, politics, etc., and each thematic section covers that particular aspect of culture or history, chronologically, for each of the different communities that inhabit southwestern Uganda, i.e., the Bakiga and the Banyankore, their subgroups and other smaller communities. There’s so much to learn within the museum that I can’t attempt to share it all with you. My favorite thing to learn was that, in the 18th century the Kingdom of Mpororo (where my matriliny stems from) was ruled by a warrior queen called Kitami kya Nyawera. I am always happy to learn about strong female figures in African history who challenge the stereotype of what a “good traditional African woman” is but even more so when it’s so close to home. My second favorite thing to learn had to do with the gigantic cow statue that stands in front of the museum. When I first saw the statue, I simply thought that it had something to do with the general value placed on cows by the local people. Apparently, this statue is of a specific cow known as Mayenje ga Ishinjo who was the reason behind an 18th century war between the Kingdom of Buhweju and the Kingdom of Nkore—a war that lasted years and cost 4000 lives!! 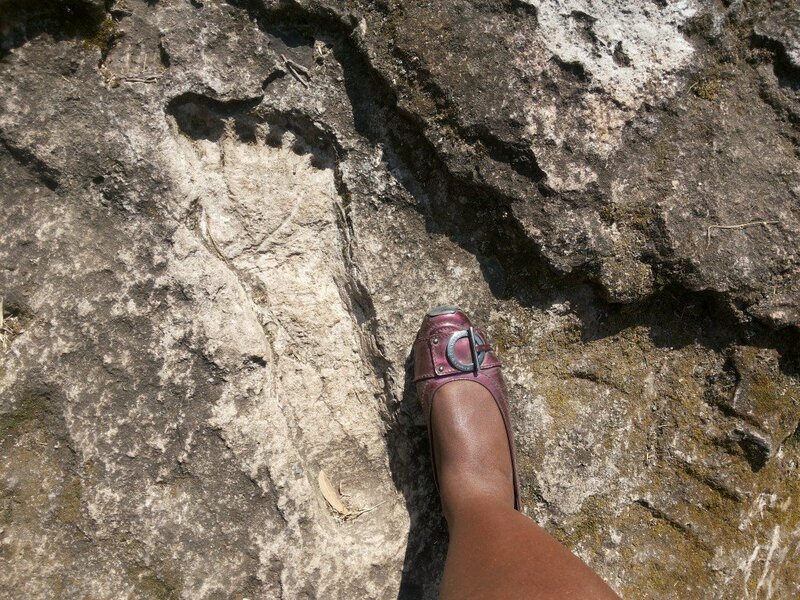 The supposed footprint of a Mucweezi left in a rock near Lake Kigere in Fort Portal with my foot next to it for comparison. The third was learning more about the Bacweezi. I first heard of the Bacweezi in hushed conversations with my cousins when I was a teenager. Hushed because the Bacweezi are a legendary people thought to have had supernatural powers who are said to have inhabited the region before its present-day inhabitants. It’s not clear what ever became of the Bacweezi—some say they all walked into a lake one day and disappeared—but it was interesting to learn at the museum that they actually did exist historically with archaeological records proving that they inhabited the region as far back as the 12th-14th century. Those are the things that stood out most for me but there were many other things that I enjoyed learning too. I enjoyed learning about the local people’s ideals of beauty (more relevant to me and my body type than any I have ever encountered before), about the money used in the region from as far back as when money began to be used to the present day, and learning about the many varieties of banana plants grown in the region along with their various uses. I have visited the museum with both locals and non-Ugandans and both groups of people have found the museum very interesting. 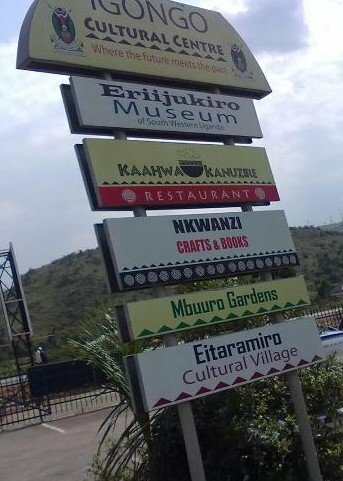 If you have never been and happen to be around Mbarara, I greatly encourage you to pay the Eriijukiro Museum a visit. Done with the museum, I made a quick stop at the Eitaramiro Cultural Village, which has models of traditional housing from the region. Then, it was time for lunch at Kaahwa Kanuzire. Kaahwa Kanuzire has been called by some “the best restaurant in Mbarara and its vicinity”. Although I cannot attest to this because I do not know Mbarara restaurants well enough, it is one of my preferred places to have a meal when I am around Mbarara. The food as well as the service is always good, and the view of the manicured gardens is delightful! I usually order typical Ugandan fare when I’m there, but I hear they serve international dishes too. So…if you have not visited Igongo Cultural Centre but will be in or around Mbarara some time soon, I encourage you to visit. 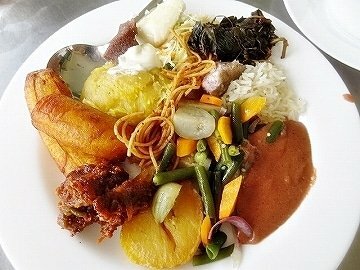 A trip to the museum is a wonderful way to learn about the culture and history of the region’s people but if museums are not your thing, then it’s also a wonderful place to just chillax and grab a bite. 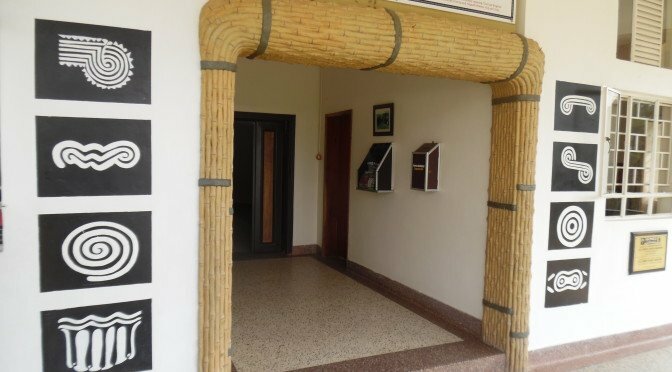 Have you ever been to Igongo Cultural Centre? If so, what did you think? As always, I’d love to hear what you have to say. Interesting post, I heard of the Bachwezi from my mother. I’m always fascinated with African history, europeans have populated our minds with theirs making it more than exciting when we find pieces og ourselves. Welcome to ChickaboutTown. Although I know we interact a lot on Facebook and Twitter, I think this is the first time you’ve left a comment on my blog. Karibu sana! What you say is absolutely true. It’s a shame, and it’s time we change that. One step at a time!